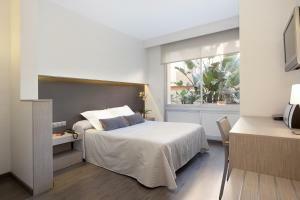 Situated 100 metres from Fontana Metro Station in Barcelona's popular Gracia district, Aparthotel Silver offers a 24-hour reception, a bar and a garden terrace. 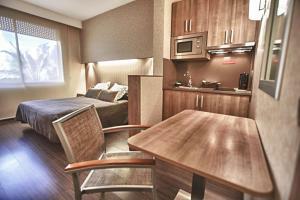 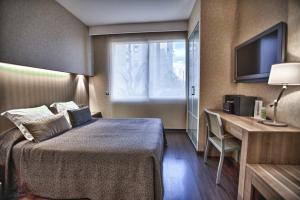 Rooms include free Wi-Fi and a kitchenette. 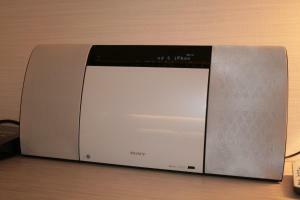 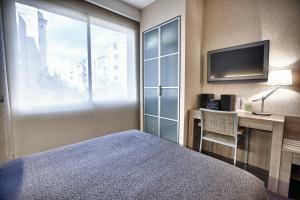 Each air-conditioned room at Aparthotel Silver has simple, elegant décor. 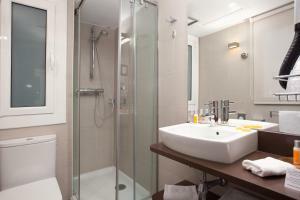 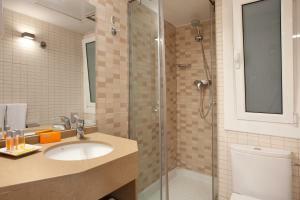 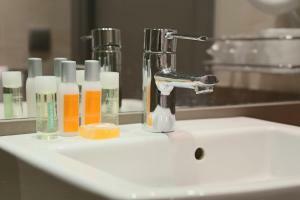 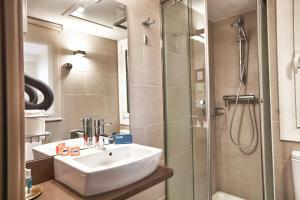 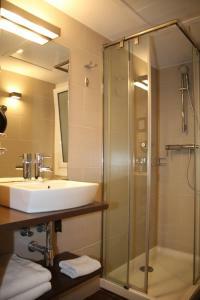 All rooms offer satellite TV, a laptop safe and a private bathroom with amenities. 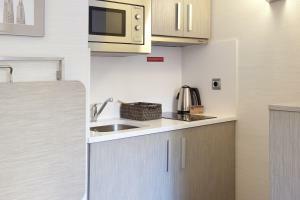 Kitchenettes include an electric oven, kettle and fridge. 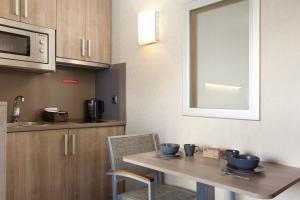 You can enjoy a drink in the Silver’s bar, and room service is available on request. 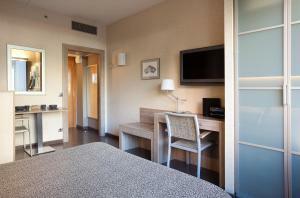 Staff at reception can also arrange car or bicycle rental and provide information about the city. 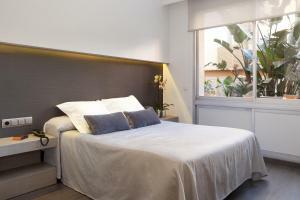 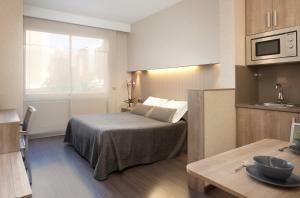 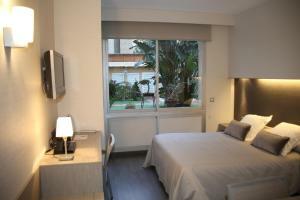 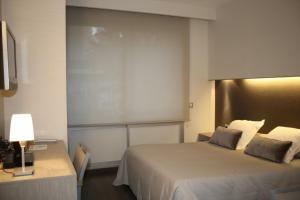 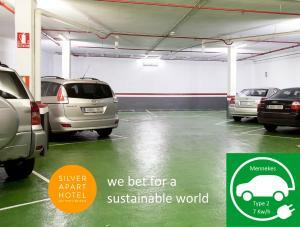 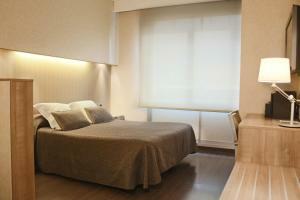 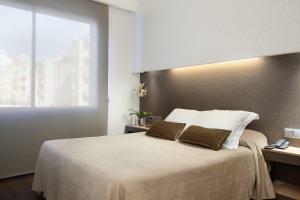 Silver Aparthotel is 200 metres from Casa Vicenç, a Gaudi building. 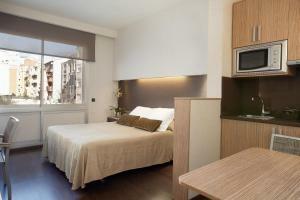 Barcelona city centre is within a 10-minute Metro journey, while Parc Guell is just one Metro stop away. 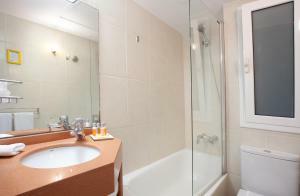 Please note that guests under the age of 18 will have to provide an authorization from their parents or tutors. 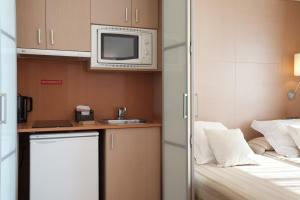 This comfortable room includes a kitchenette with a ceramic hob, microwave and fridge. 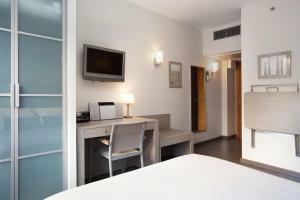 Rate: € 60.00 ... € 107.00; select dates below to get current rates.